A traditional Victorian family-run guest house set in an excellent residential location in York, The York Priory stands in beautiful secluded gardens that feature ruins for residents to enjoy. Just a 10 minutes walk to the city centre and attractions, whilst the University, Racecourse and the McArthur Glen designer outlet are all situated within 1/2 to a mile. Boasting picturesque views across the River Ness towards Inverness Castle, this traditional end-terrace guesthouse is ideally located in the heart of the Highland capital of Inverness. Overlooks landscaped gardens. Partial sea views. Douglas Bay & Douglas town centre shopping areas (Tower House, The Strand Centre & Strand Street) short walk (10 minutes). Free Wi-Fi. Free pubic parking. Open year round. Family, double, twin & single rooms. Most rooms ensuite. Special diets catered for. Local restaurants short walk. National Sports Centre swimming pool nearby, great for children. Situated in the heart of the Highland Capital of Inverness, this charming guesthouse provides a peaceful setting, yet is close to Inverness Cathedral, Eden Court Theatre and city centre shopping. A charming, friendly and comfortable guest house, Villa D'Oro Guest House provides comfortable bed and breakfast accommodation in Jersey. 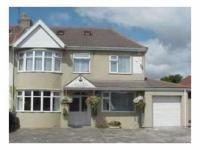 One and a half miles from the seafront. The attractive location is particularly well suited for walking and cycling and the Green Lane network starts over the road from Villa D'Oro Guest House. Local shop and pub are easy walking distance. 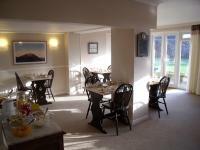 Undercliff Guest House is a family run 4 star guest house situated on the tranquil north coast of Jersey. Full English breakfast is served every day and special diets are catered for. 13 en-suite bedrooms plus self catering holiday accommodation. Stunning sea views over Bouley Bay and the cliff path network is just a few yards from the guest house, so it's an ideal base for walkers. Just 1 mile from the M5, the friendly and family-run Rookery Guest House offers free parking, free Wi-Fi and easy access to Bristol city centre. 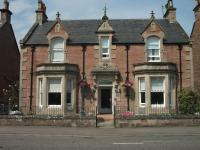 The welcoming Rookery Guest House offers comfortable rooms with en suite facilities.